Create your favourite drinks in custom made glasses with these fantastic Jager Bomb cups. 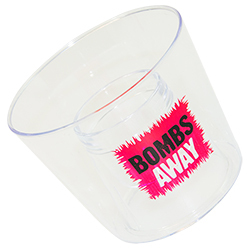 The plastic glasses come in a pack of four and have a section in the middle for the Jager and then a larger section outside of that or the mixer. These cups are around 6cm high and roughly 8cm wide at their largest point. 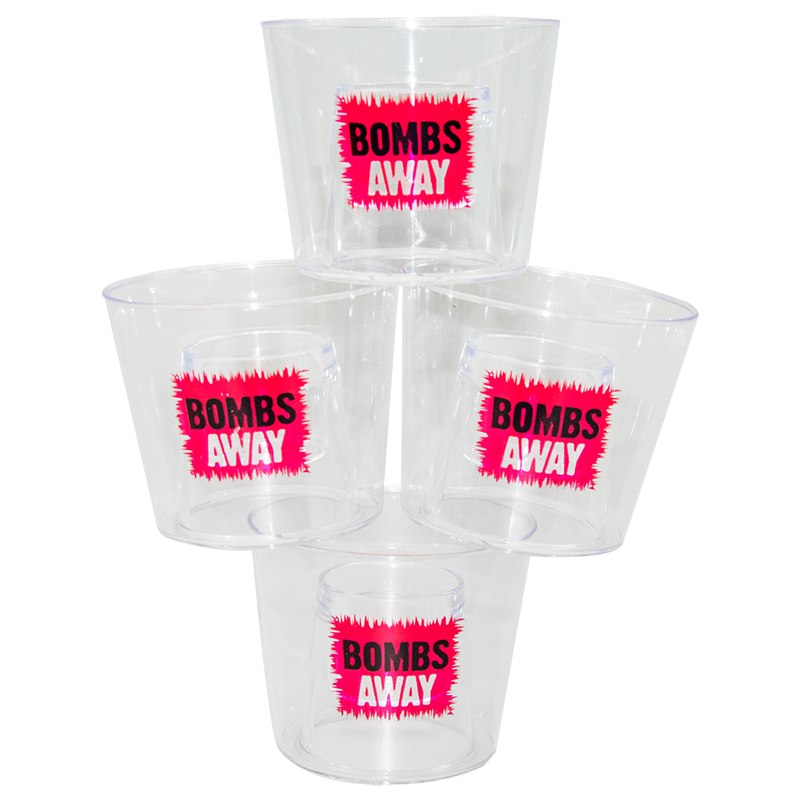 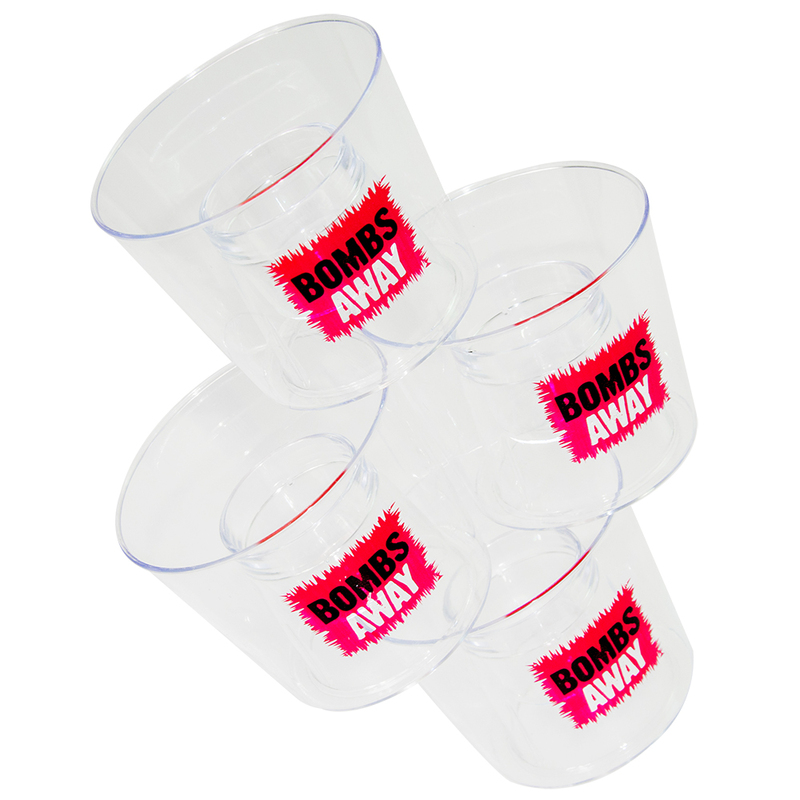 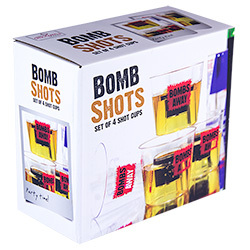 The bombs away design makes these look great and they can really add some fun to the night.